According to the Central Hydro-meteorological Forecasting Center, the tropical pressure in the East Sea has developed into the ‘Haitang’ typhoon on September 25. The storm is presently about 440km east off Quang Tri and Quang Ngai provinces, bringing in strong winds blowing at 62-74km per hour with gusts exceeding level 8-9. 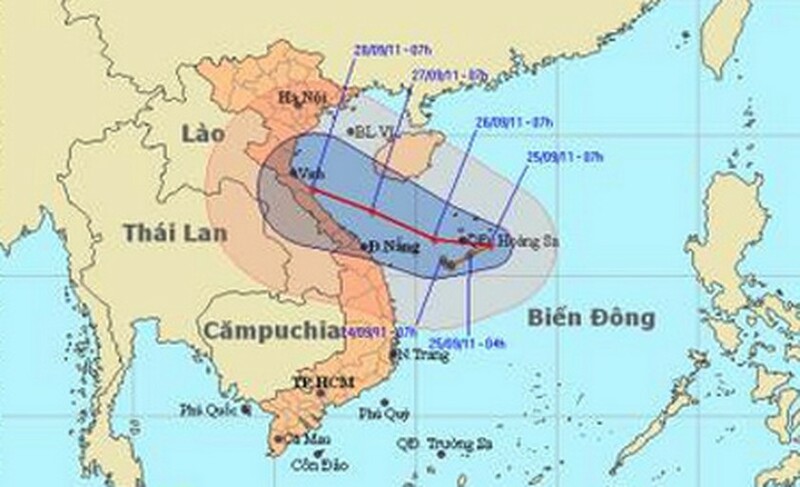 The weather bureau forecasts that the typhoon will move west-northwestwards at speeds of 5-10km per hour and is presently about 250km east-northeastwards off Quang Binh and Quang Nam provinces, bringing in winds of 62-88km per hour within the next 24 hours. The ‘Haitang’ typhoon will move towards the west-northwest at speeds of 10-15km and is currently about 170km east off Nghe An and Thua Thien-Hue provinces. 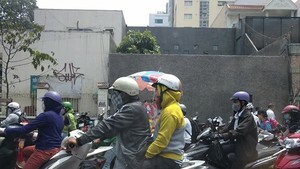 The typhoon has created rough and choppy seas near the central region, and from Binh Thuan to Ca Mau Provinces. Mid-Central and South Central areas from Thanh Hoa to Quang Nam, and the highland provinces will also see heavy rainfall within the next 24 hours. In addition, floodwaters in central region is expected to cross danger mark. Floodwaters from the Vu Gia River in the central province of Quang Nam and other rivers flowing through Quang Ngai province are expected to cross the danger mark of level 3 by September 25. Heavy rains have more or less subsided from Ha Tinh to Thanh Hoa, and from Thua Thien-Hue to Quang Ngai Provinces. A 1km-long crack has appeared on Pu Cam Mountain in Xa Luong commune in Nghe An Province. Heavy rains have also caused landslides in the vicinity of the Ban Ve hydroelectric power plant. Communes along Lam River and La Giang Dyke in Ha Tinh Province were submerged under water. Local authorities are helping residents to harvest their rice crop early to avoid further loss. The Mekong Delta provinces are also coping with rapidly rising floodwaters.